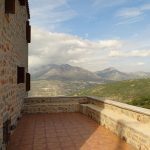 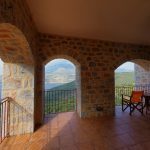 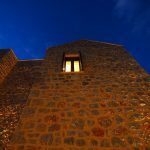 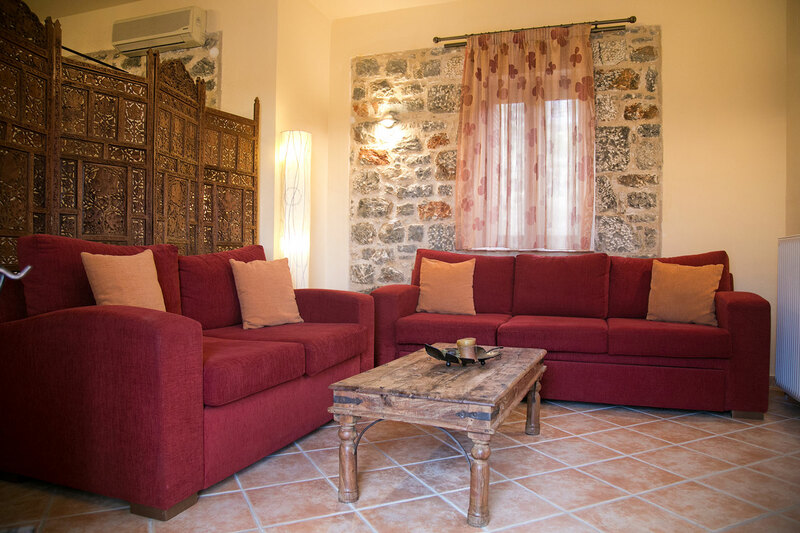 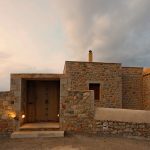 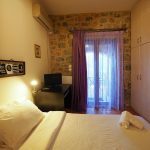 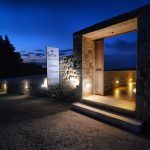 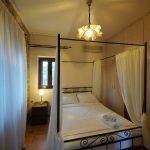 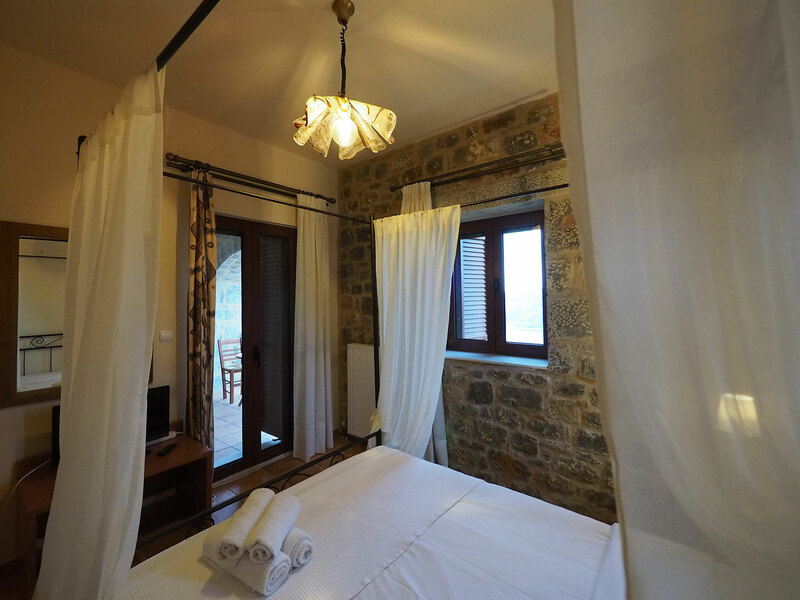 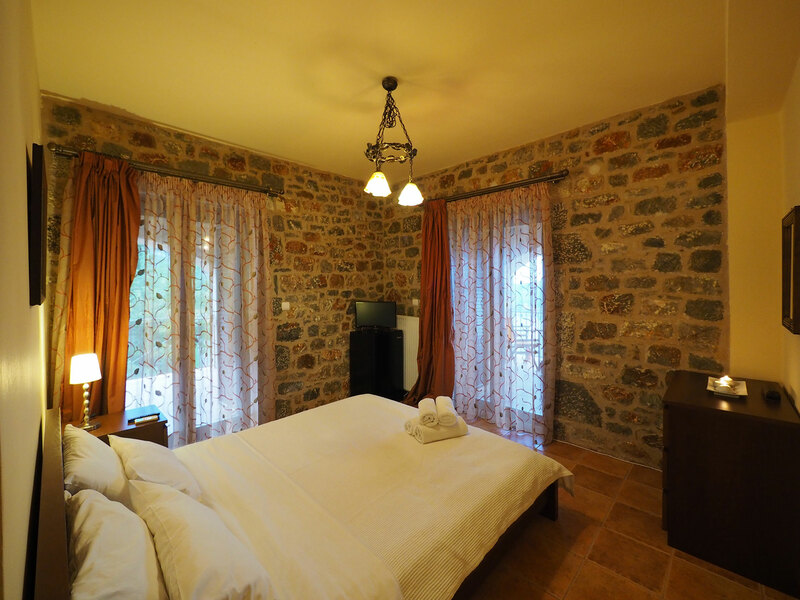 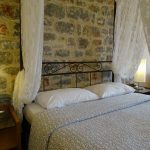 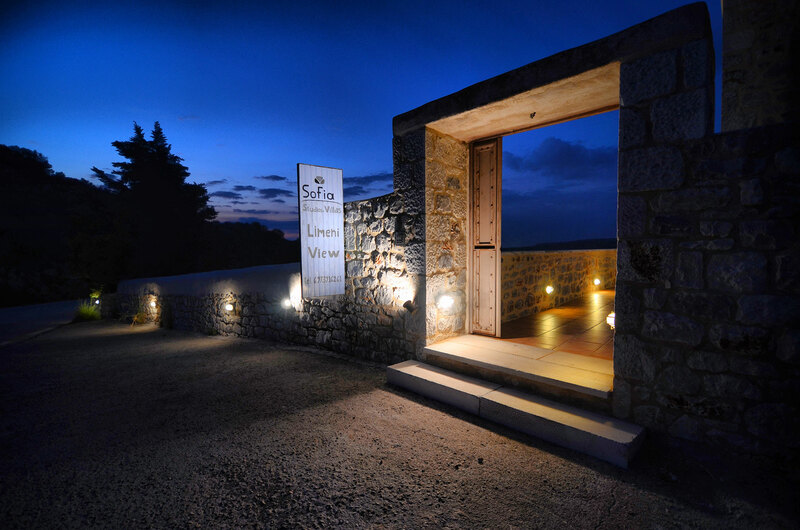 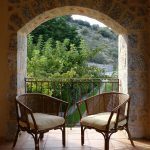 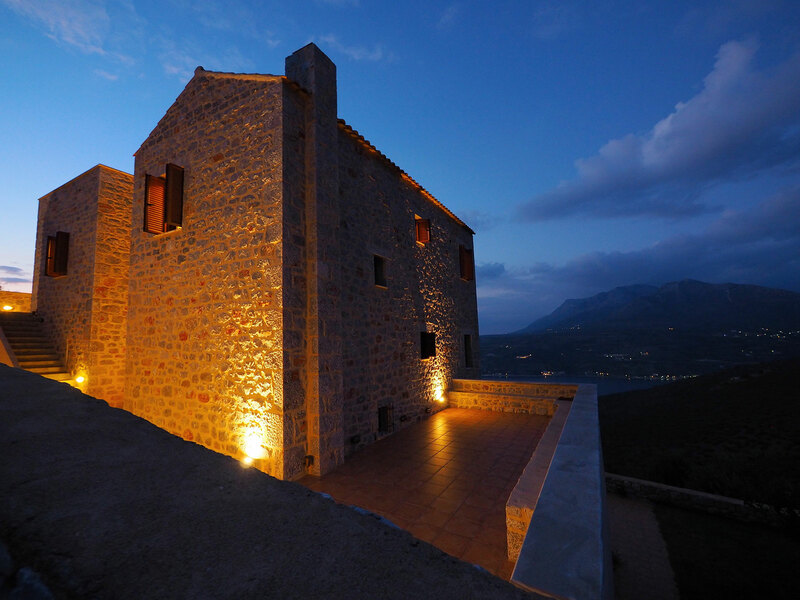 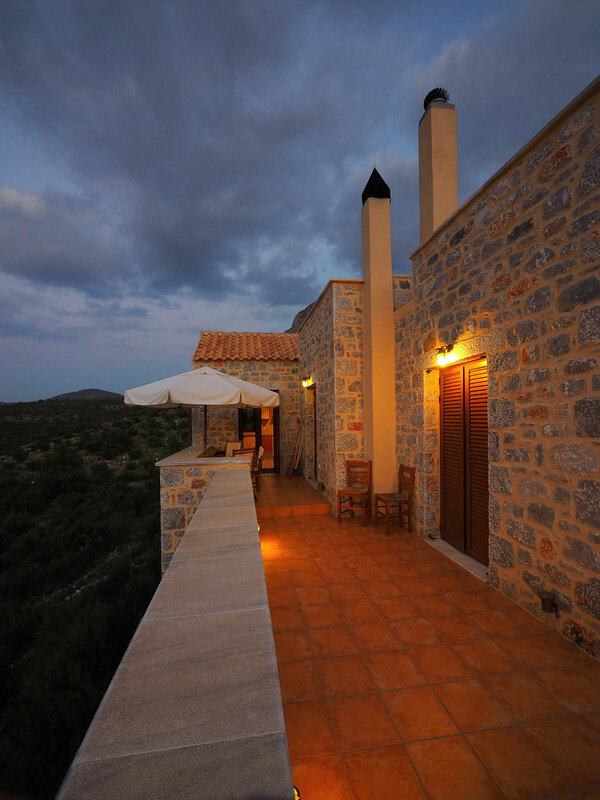 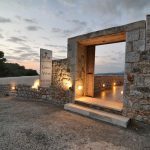 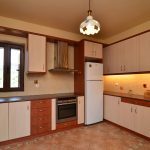 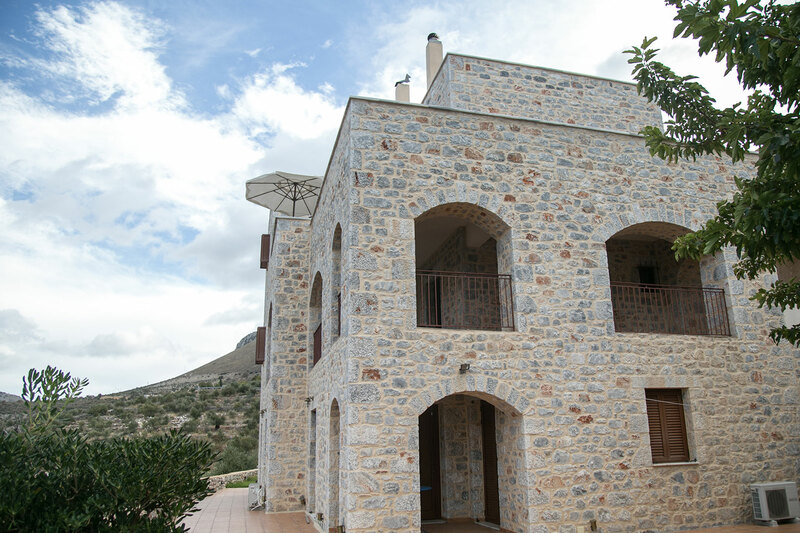 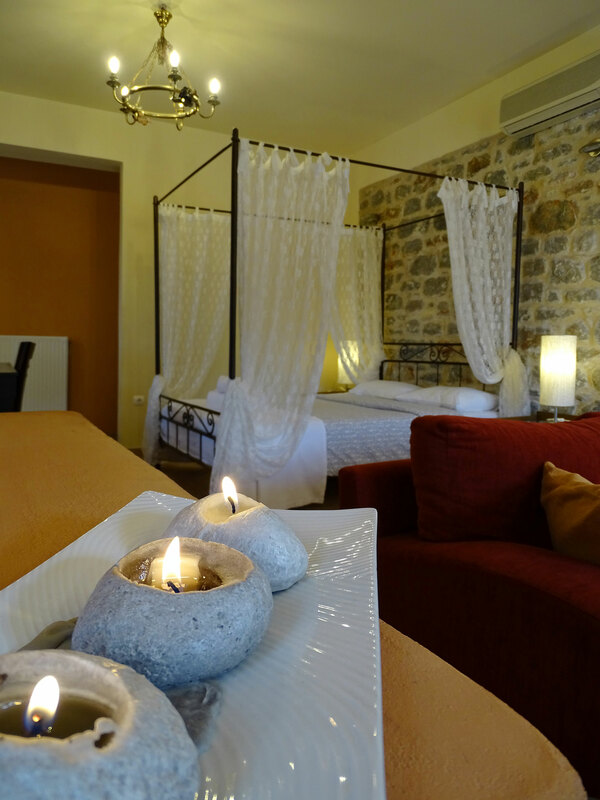 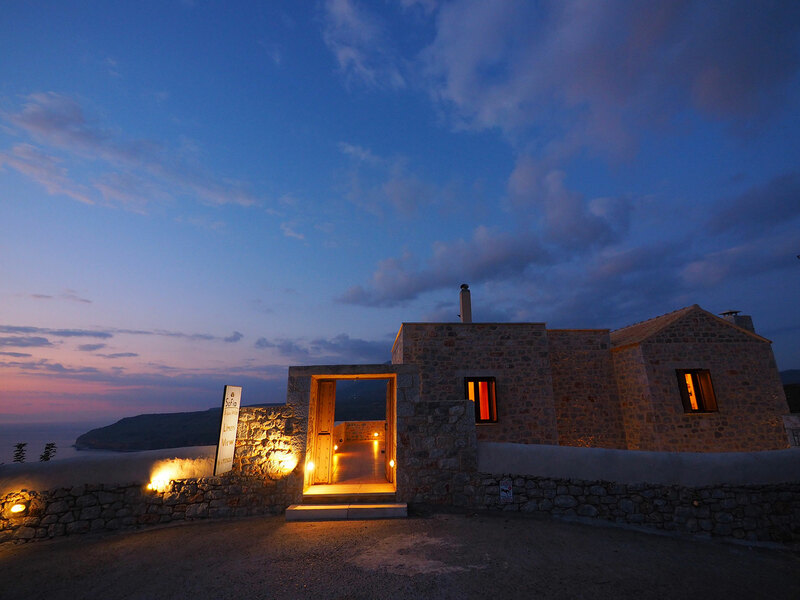 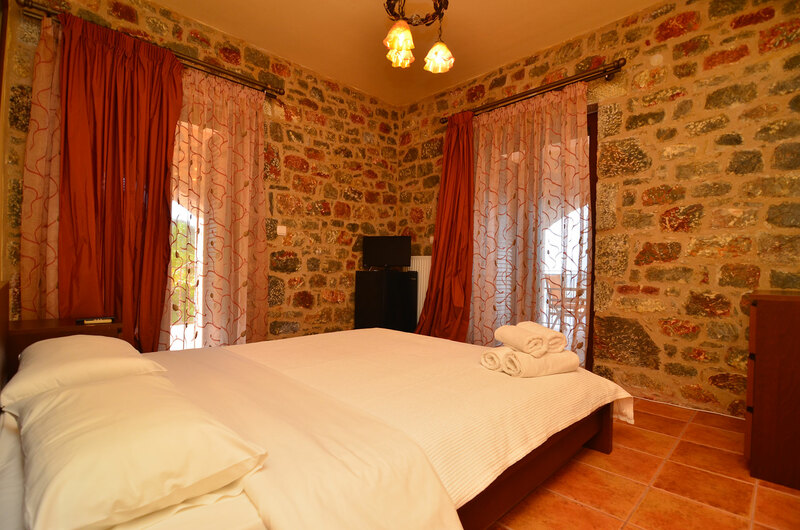 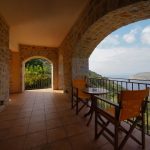 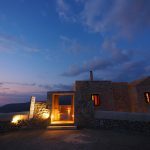 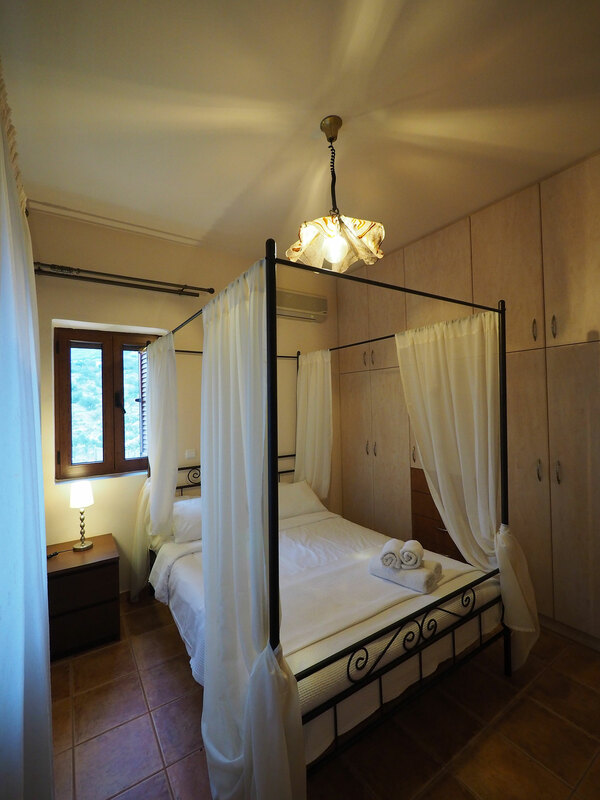 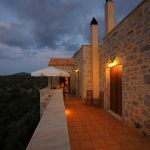 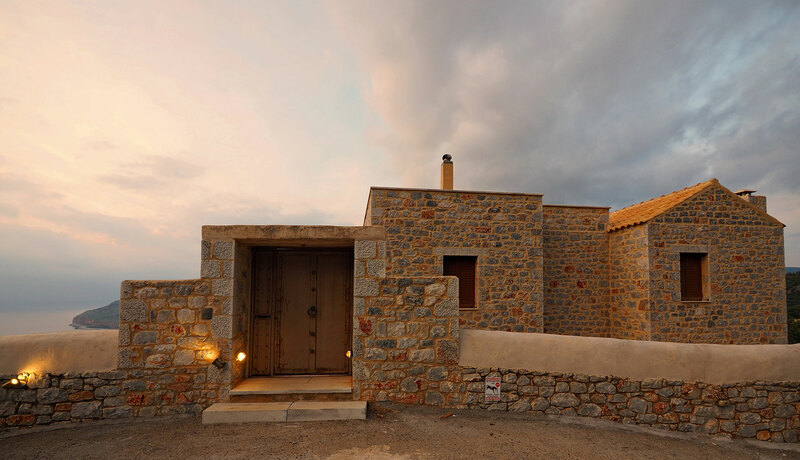 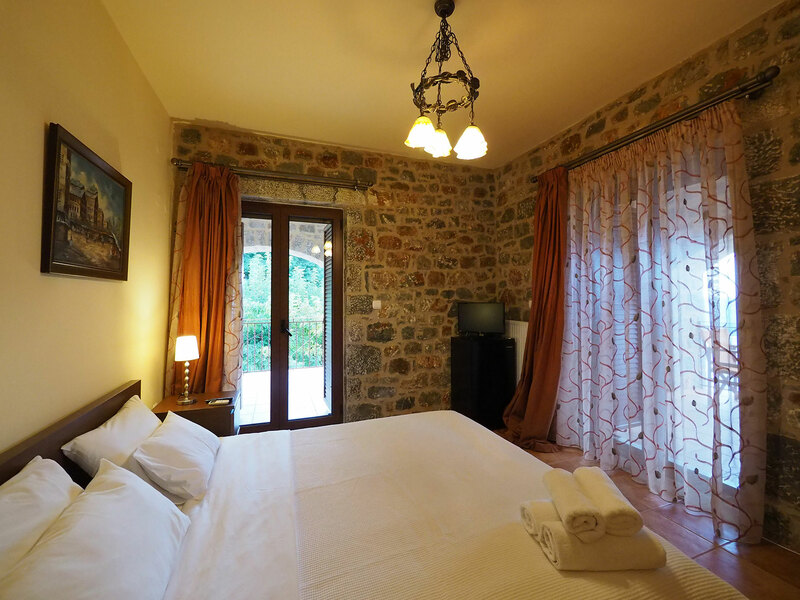 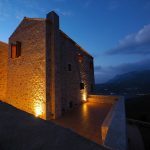 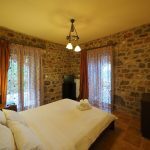 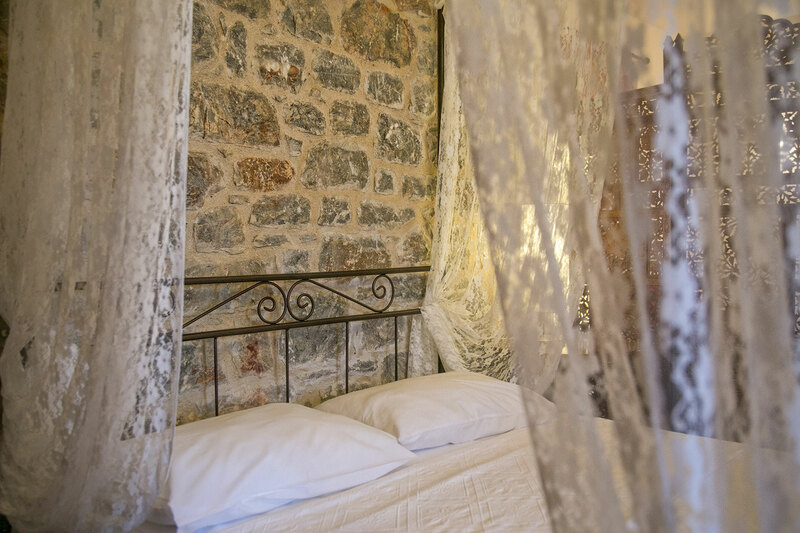 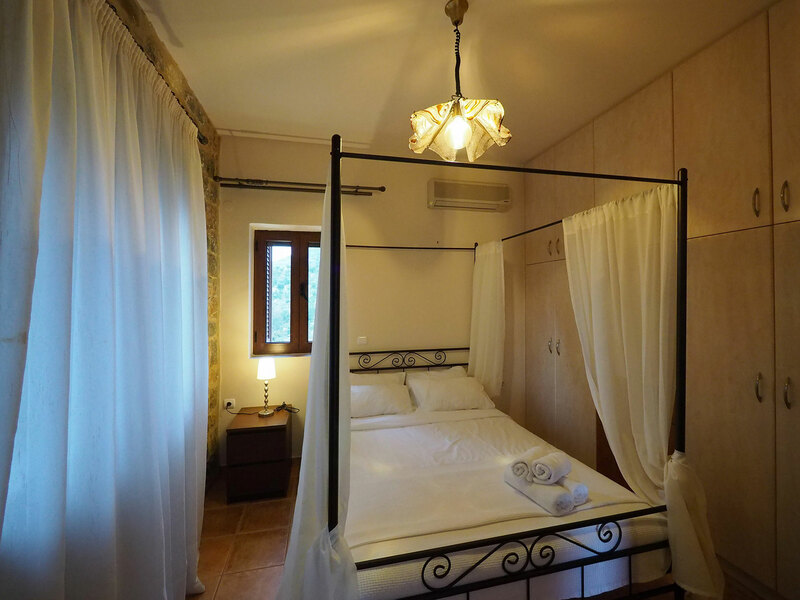 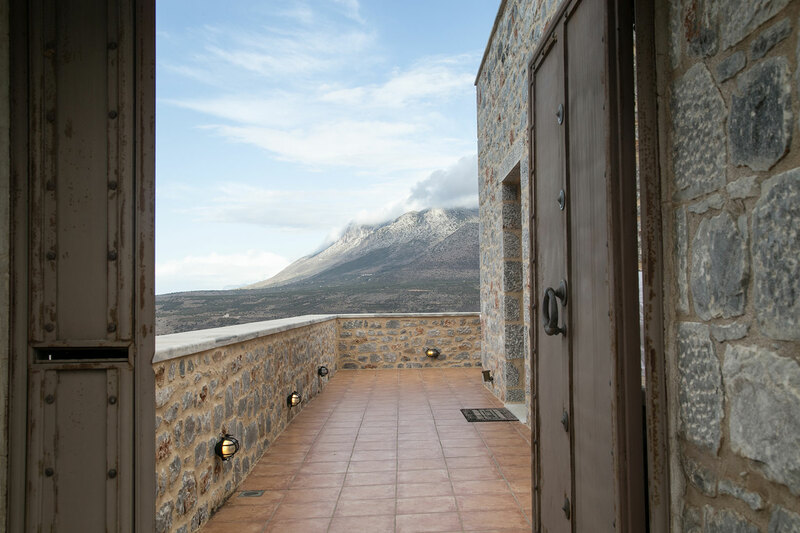 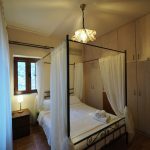 The newly built stone villa, on the road leading from Areopolis to Limeni, claims the admiration of every passing traveller with its unparalleled beauty and stunning location. 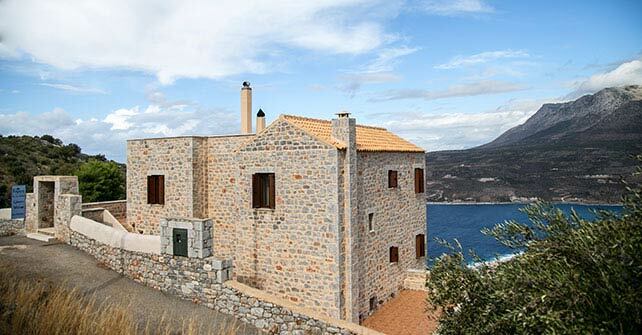 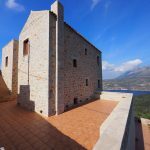 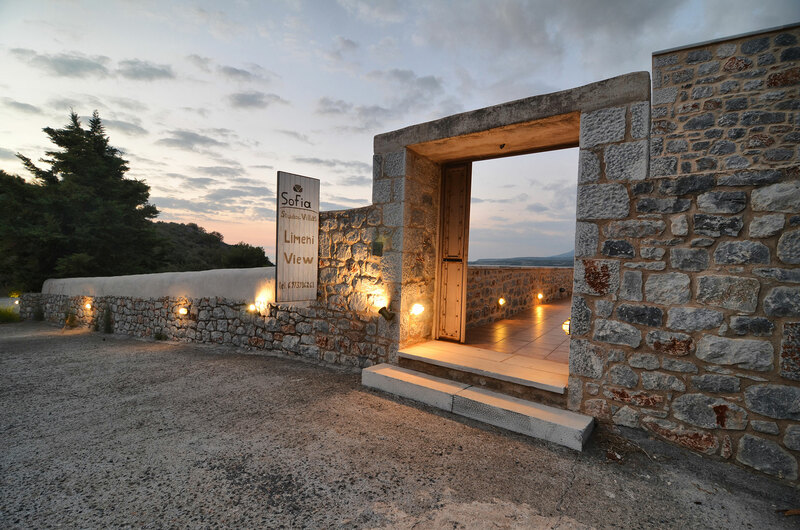 Villa Sofia Limeni View overlooks beautiful Limeni from above, like a modern war tower with a sense of luxury and serenity. 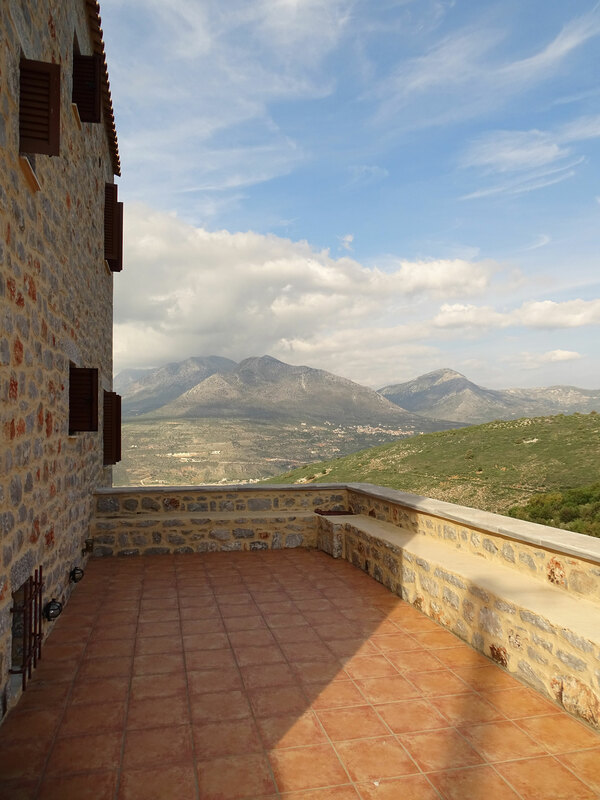 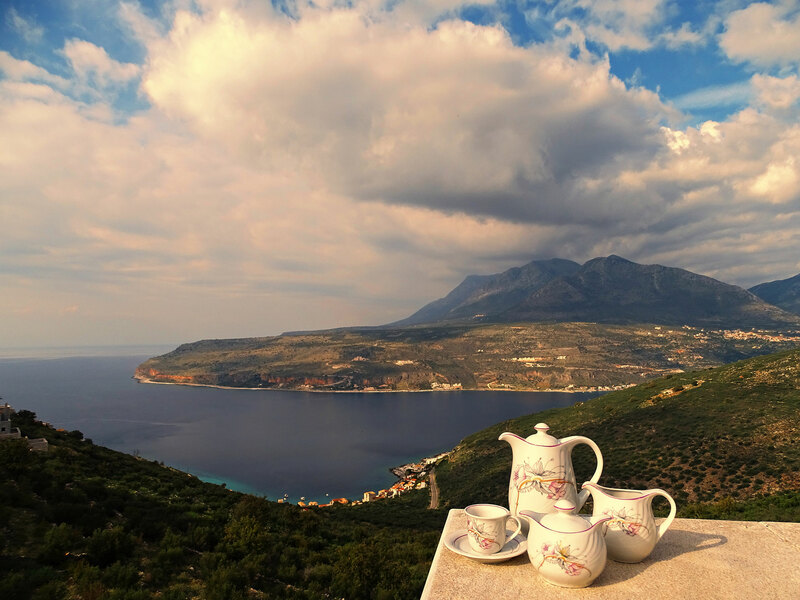 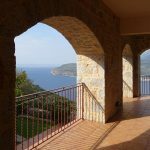 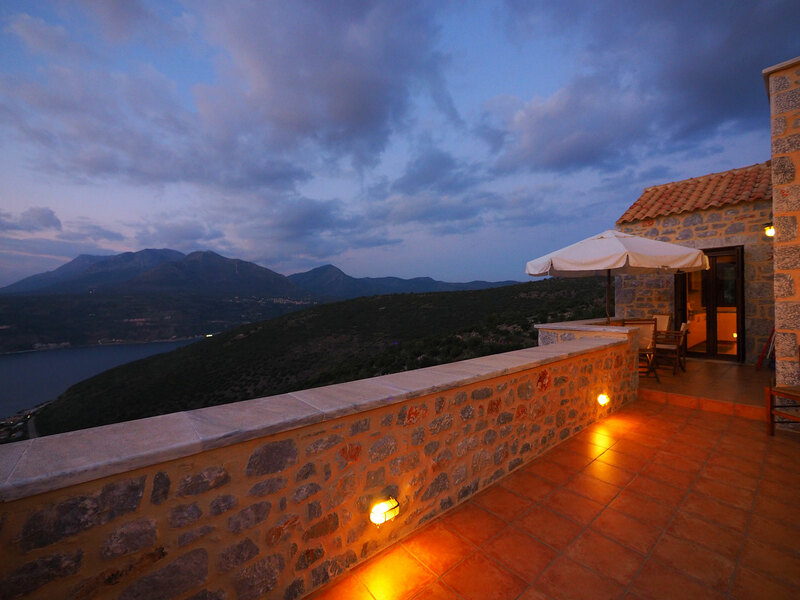 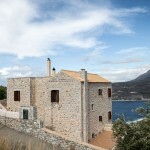 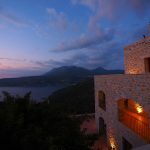 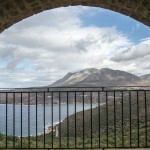 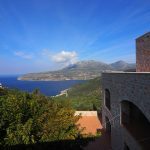 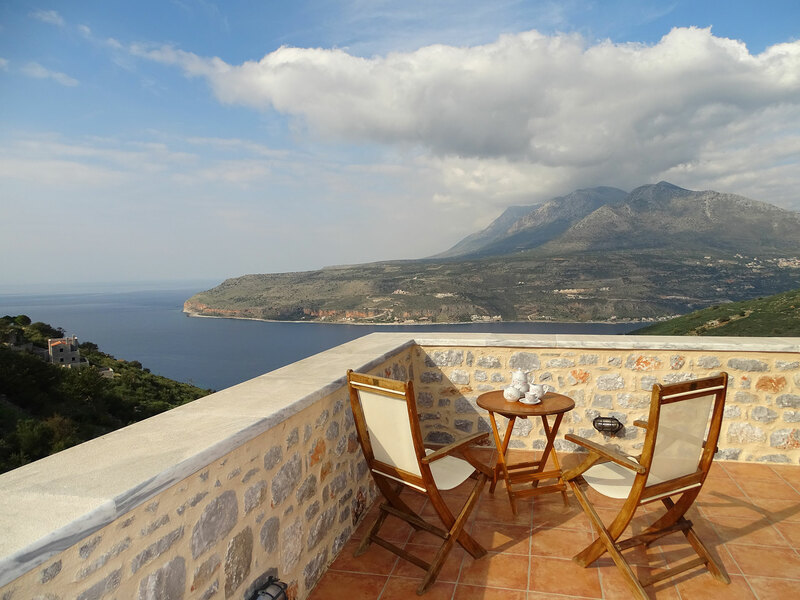 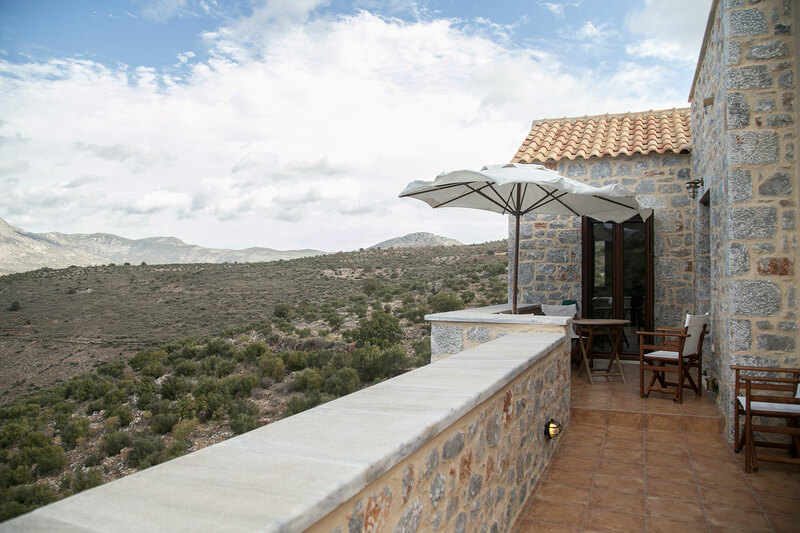 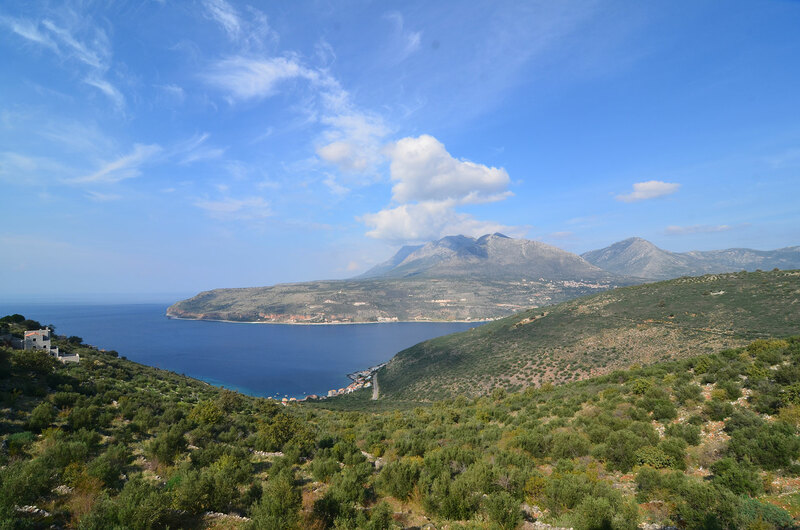 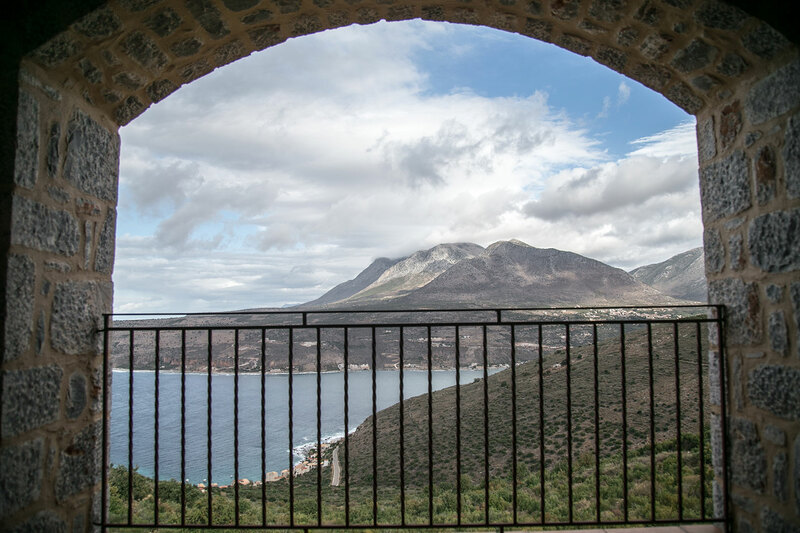 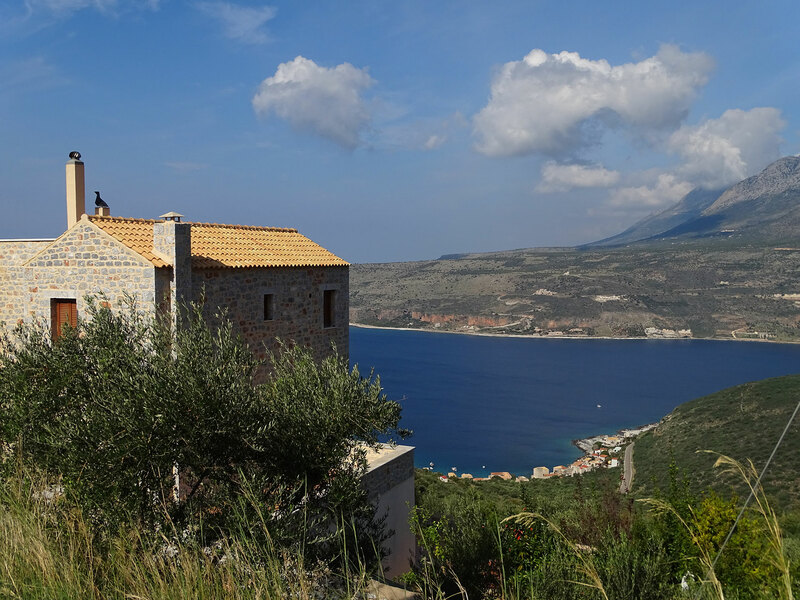 Perched on a green hillside full of olive trees, it enjoys breathtaking views of the sea and the mountains of Mesa Mani. 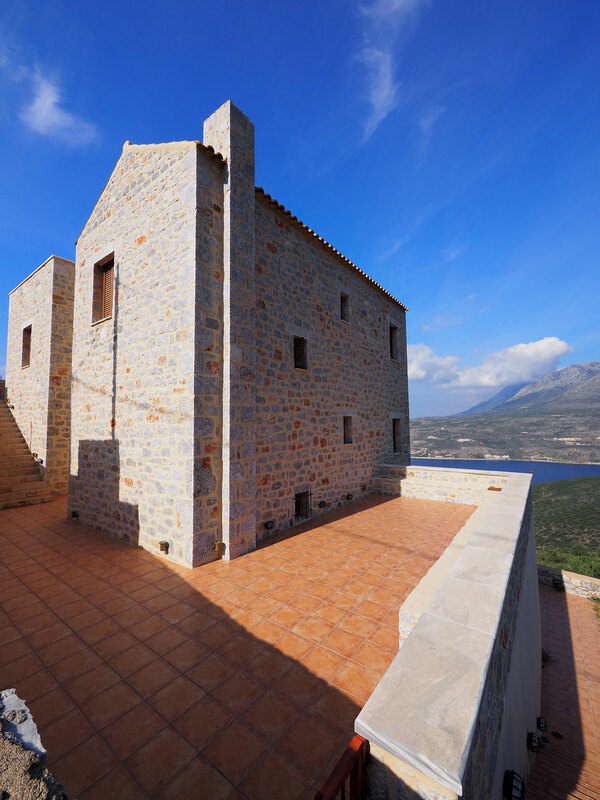 Being built ideally between two traditional settlements, it is the ultimate holiday base, with direct access to historic Areopolis, the popular Limeni and the extensive beach of Neo Oitylo. 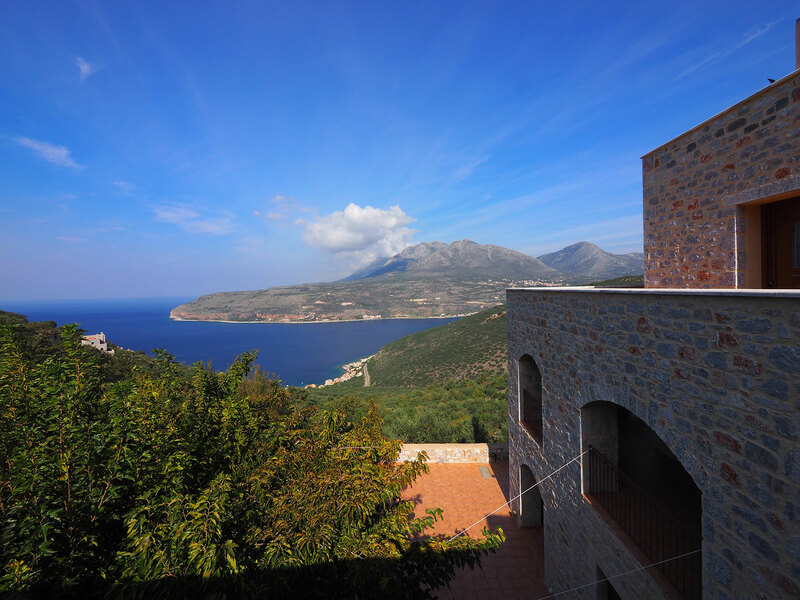 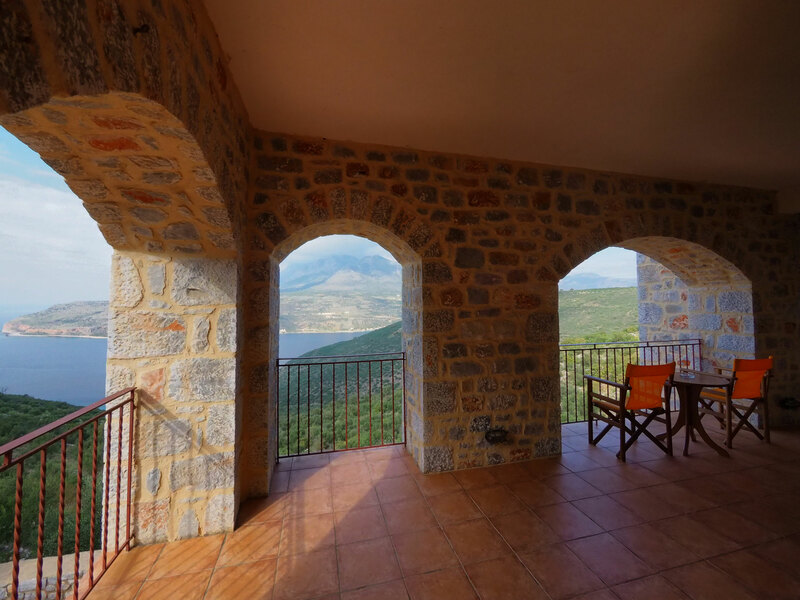 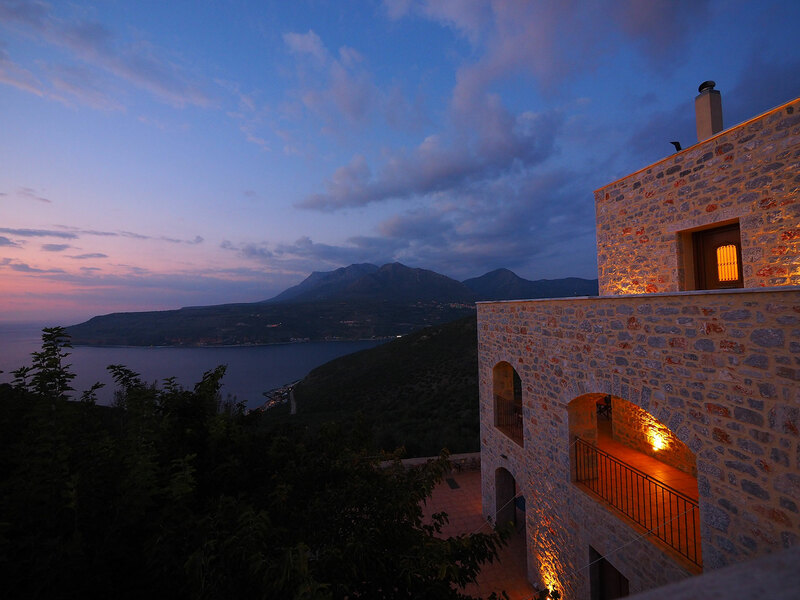 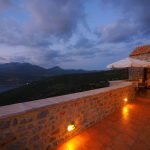 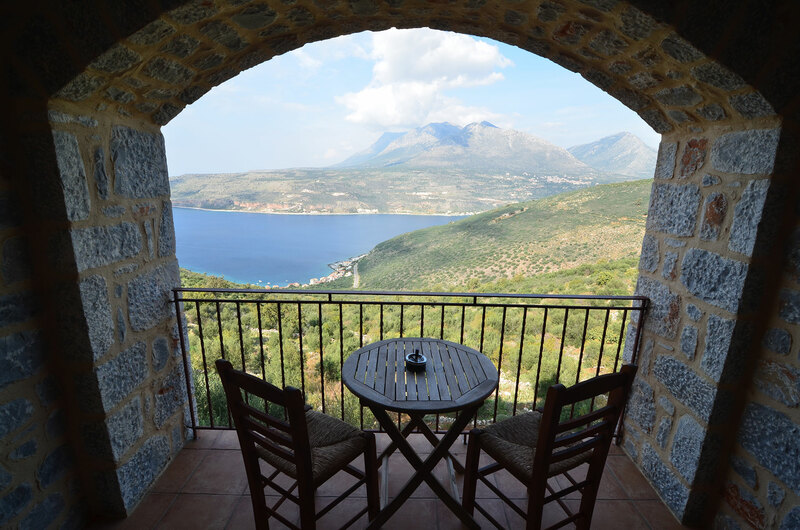 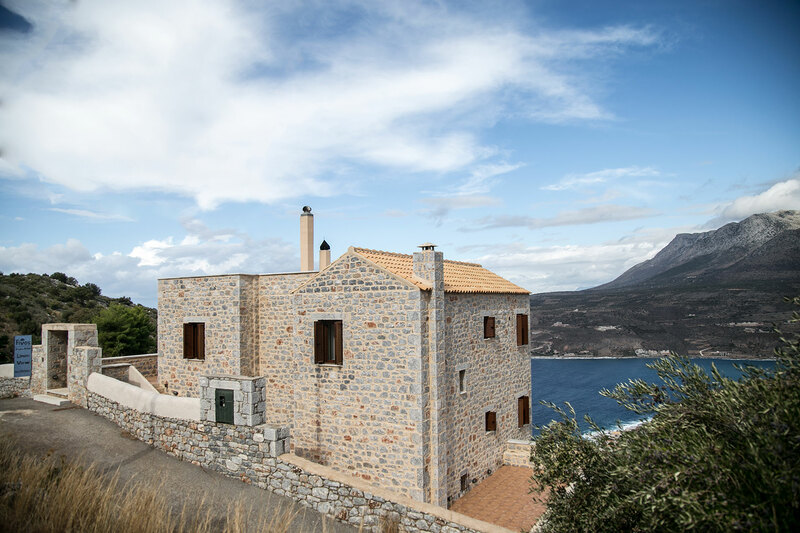 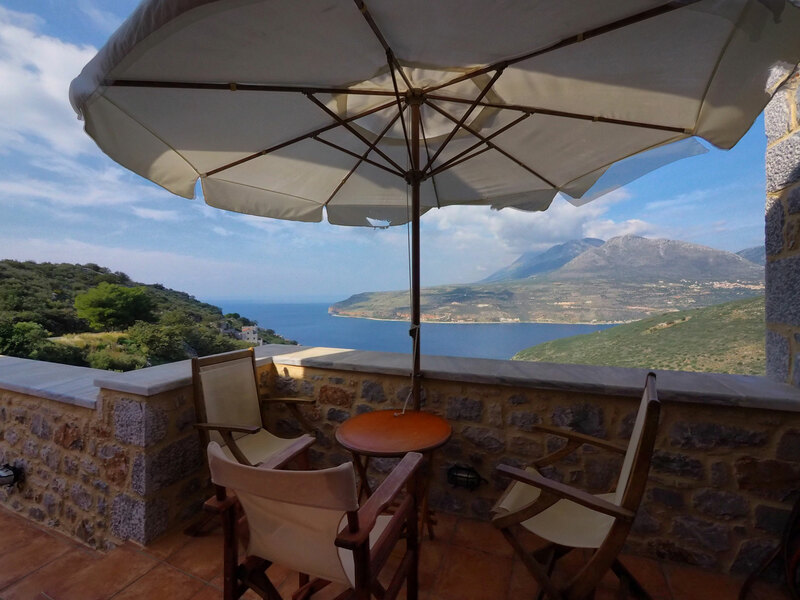 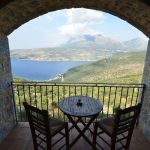 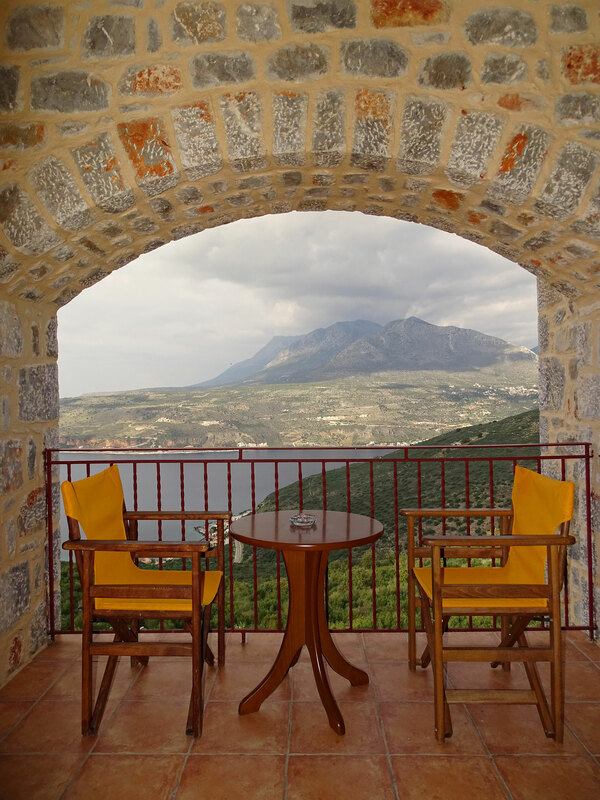 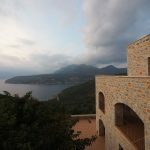 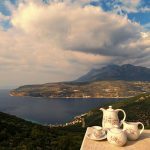 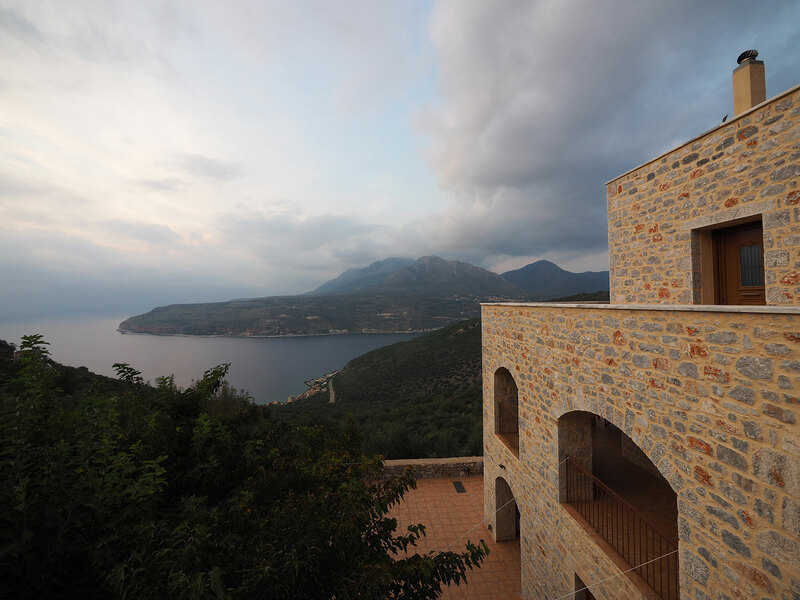 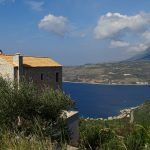 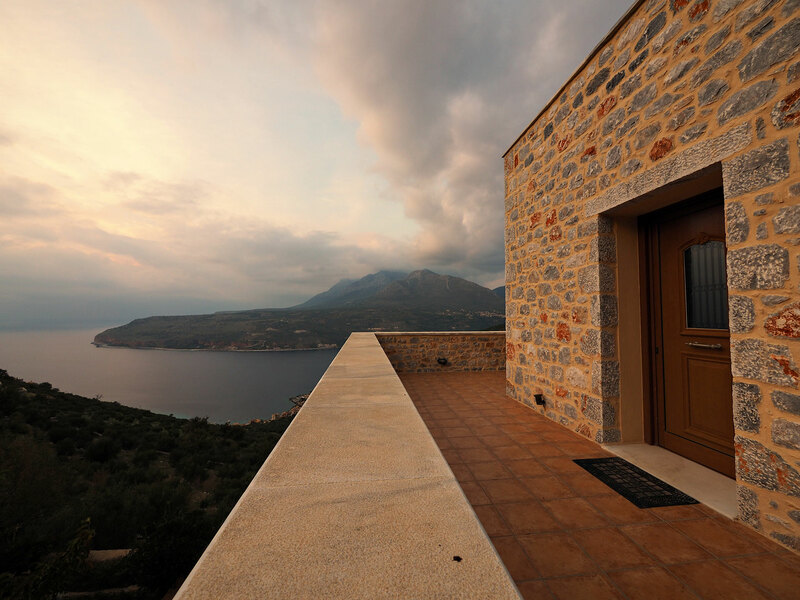 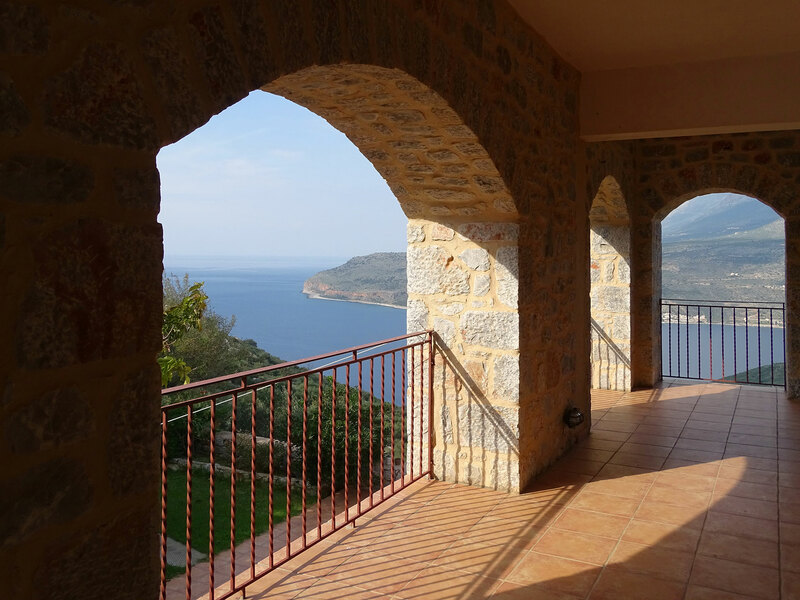 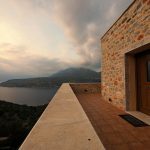 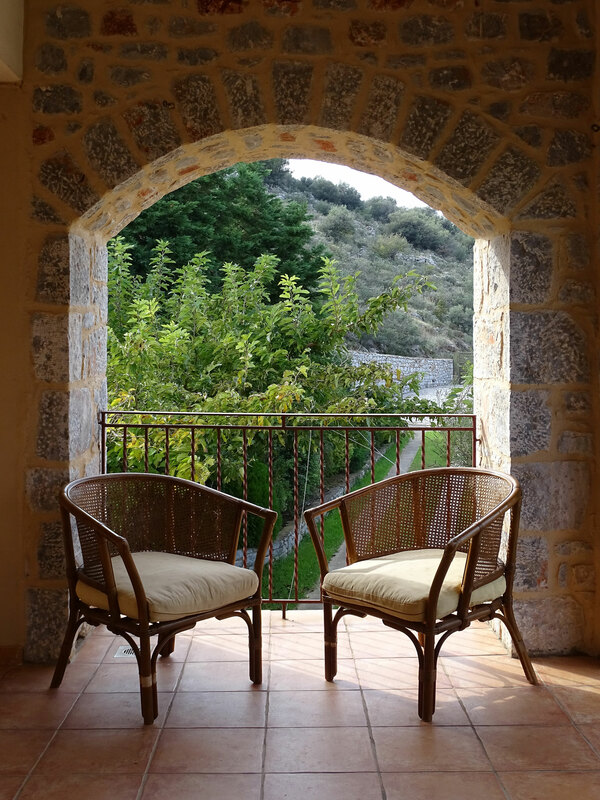 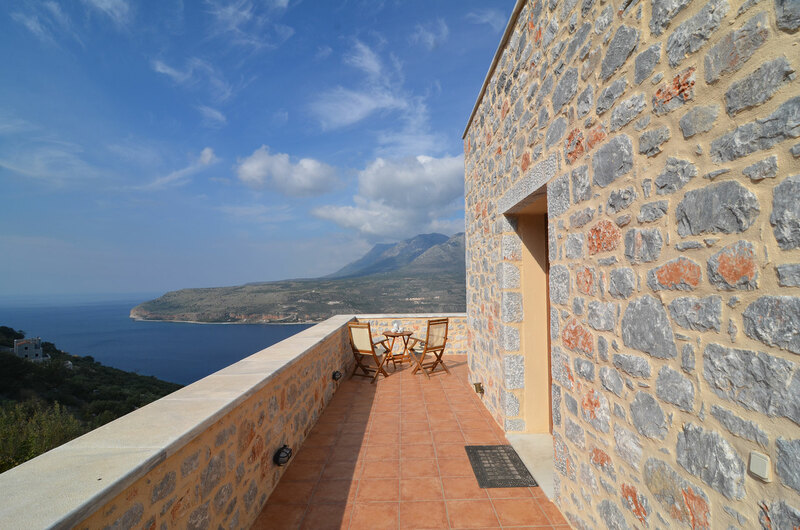 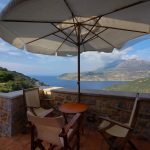 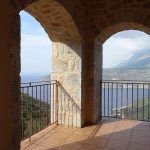 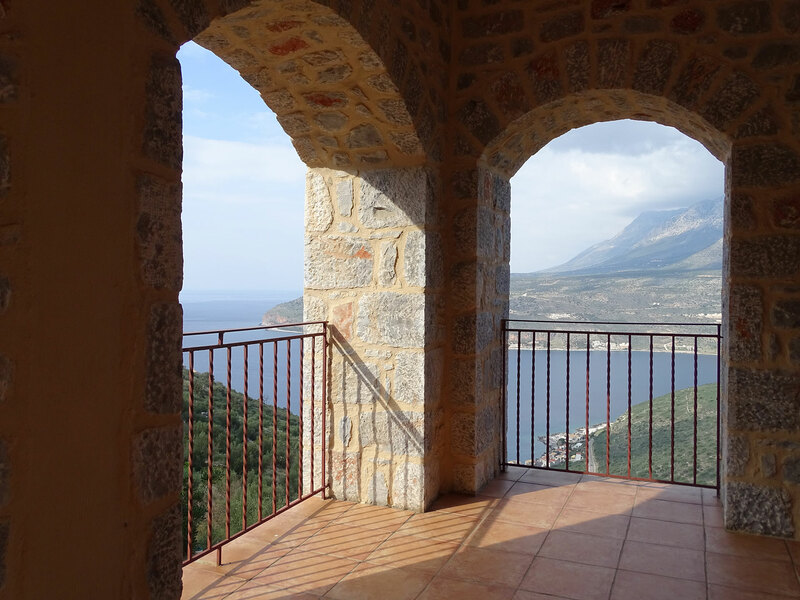 Sofia Limeni View is an exceptional retreat for those who appreciate nature, but also want proximity to the most cosmopolitan parts of Mani. 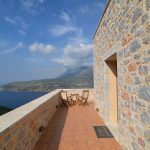 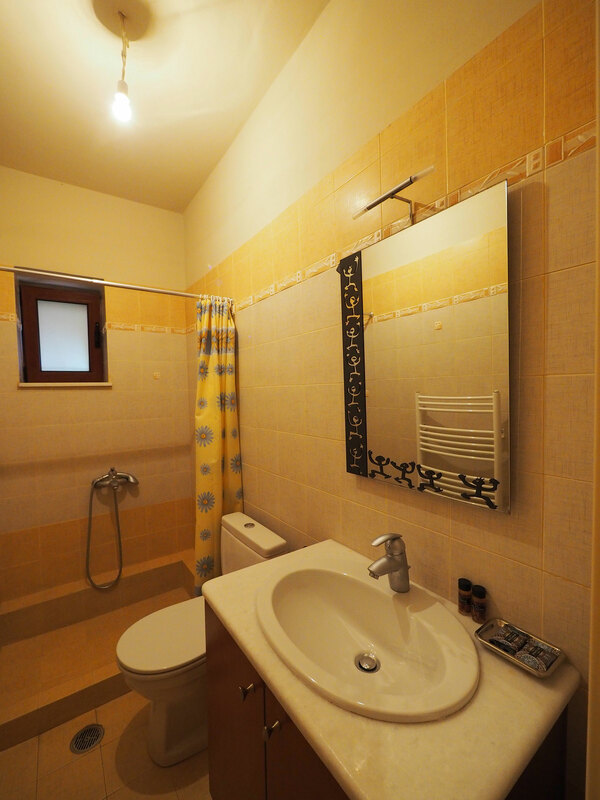 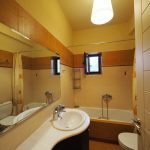 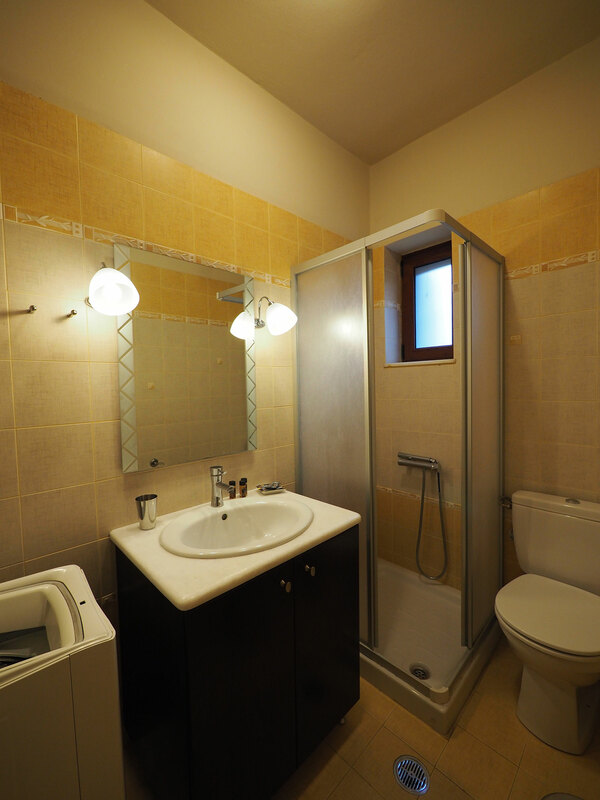 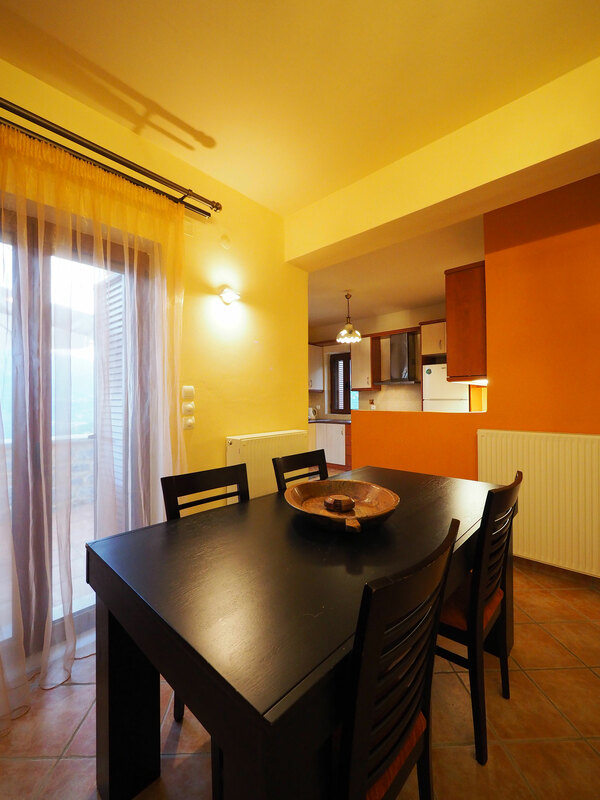 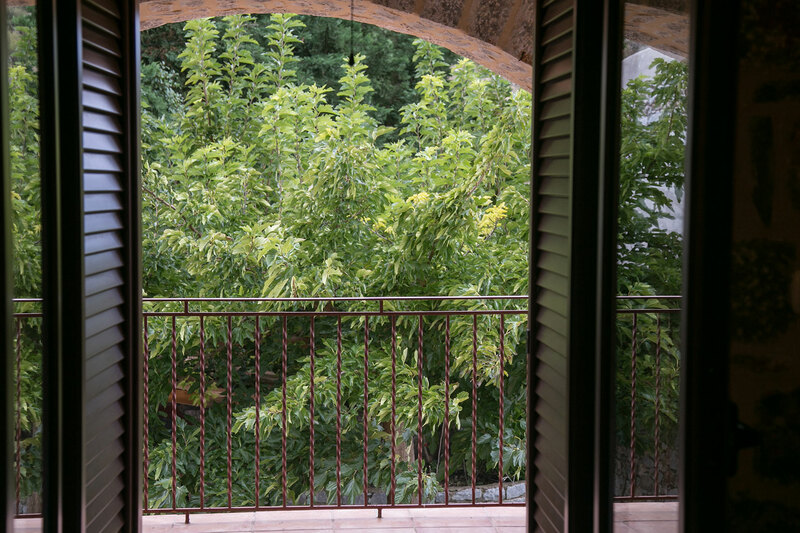 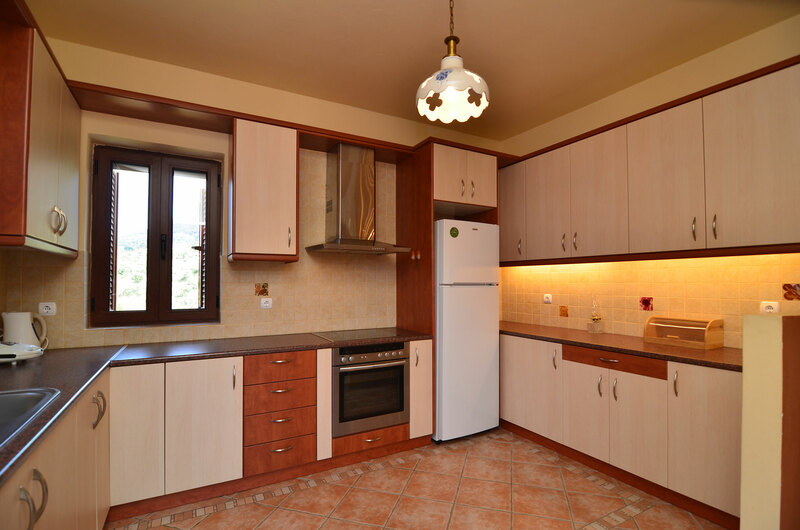 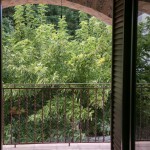 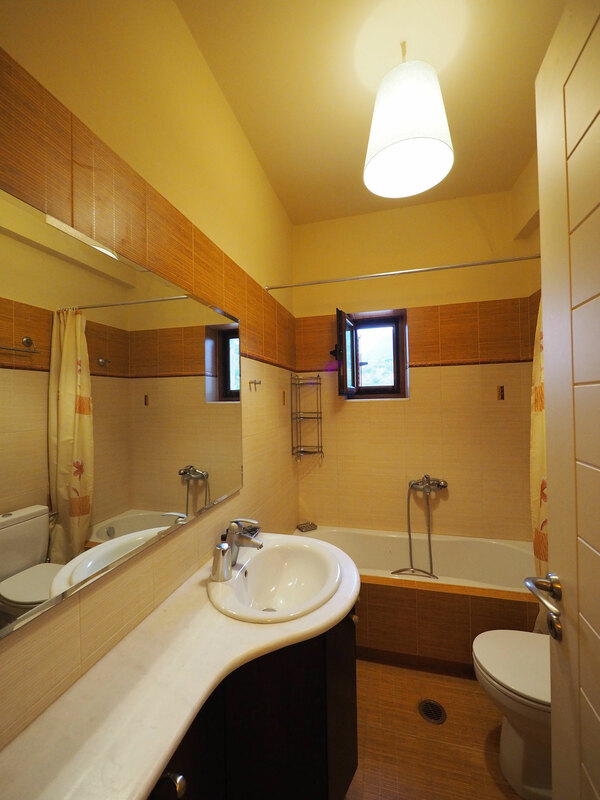 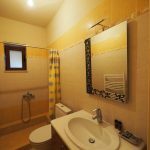 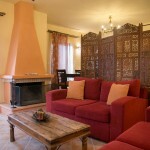 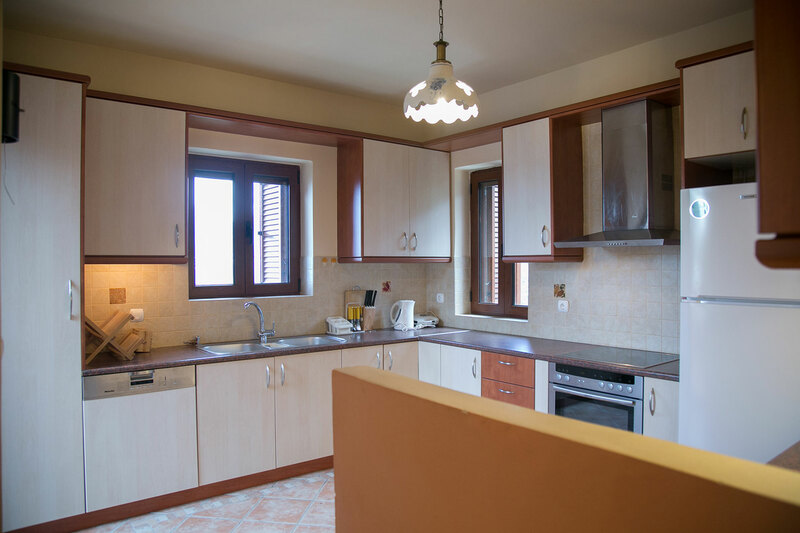 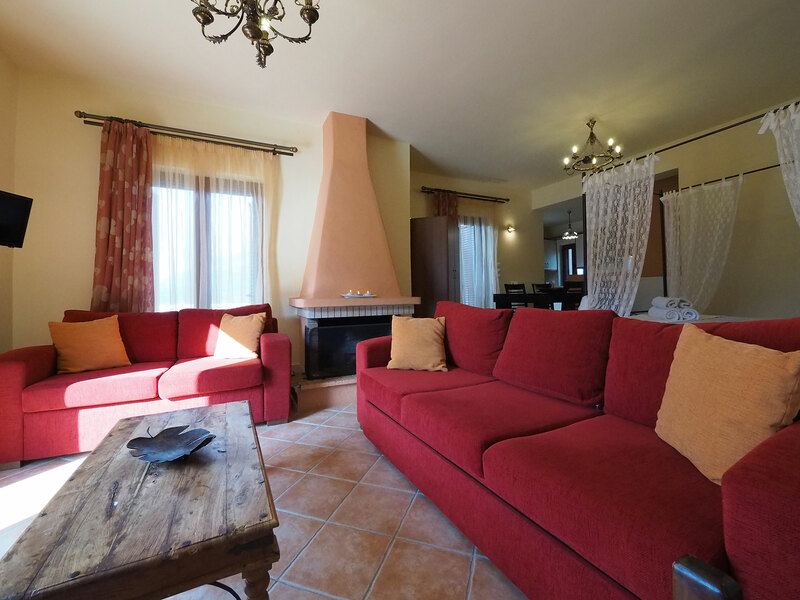 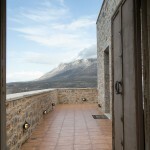 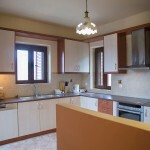 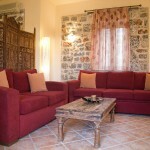 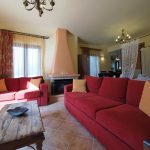 Villa Sofia Limeni View comprises two available levels, which can be rented partially or as a whole. 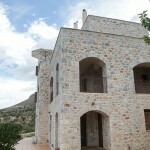 On the first floor there are three double bedrooms – one independent and two with common bathroom- of special style and luxurious construction, while on the second level there is a large apartment, which incorporates the modern open plan kitchen, a dining table, the warm living room and a vintage bedroom area, into a single space. 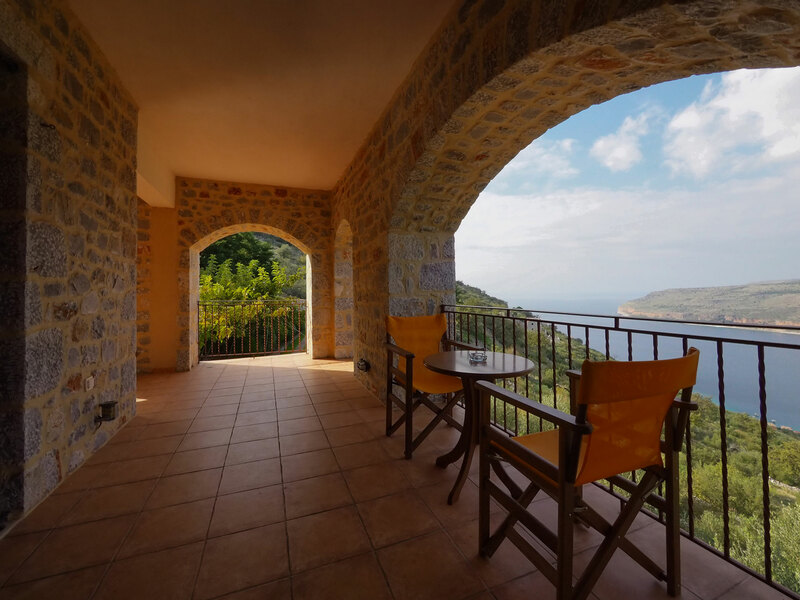 The terraces on both levels offer panoramic views to the sea and Limeni, a truly peaceful environment and direct contact with nature. 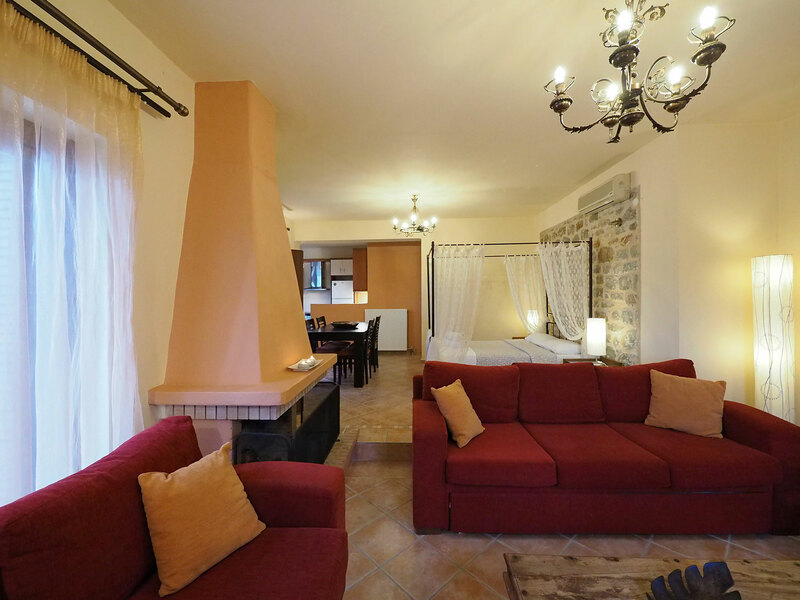 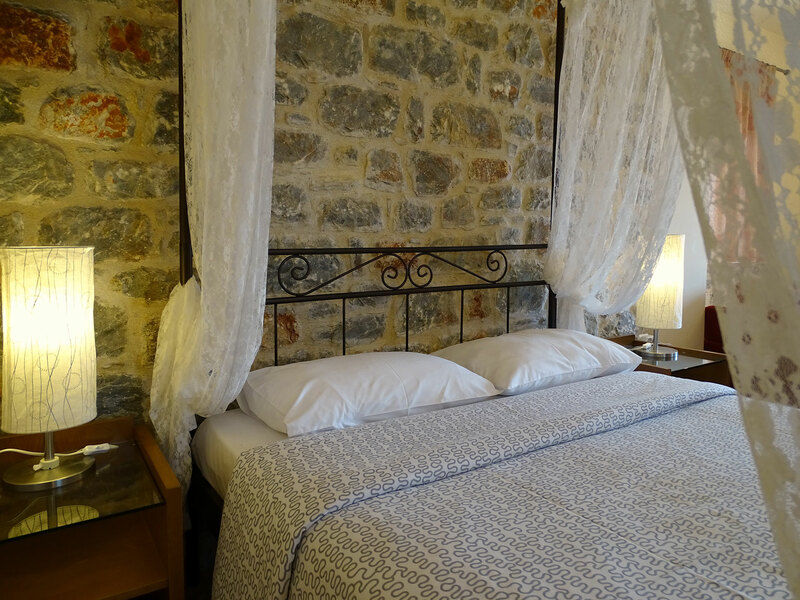 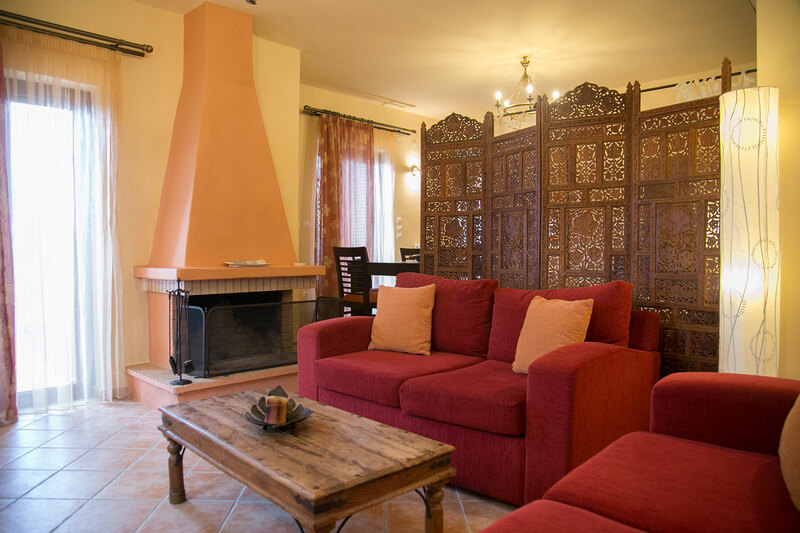 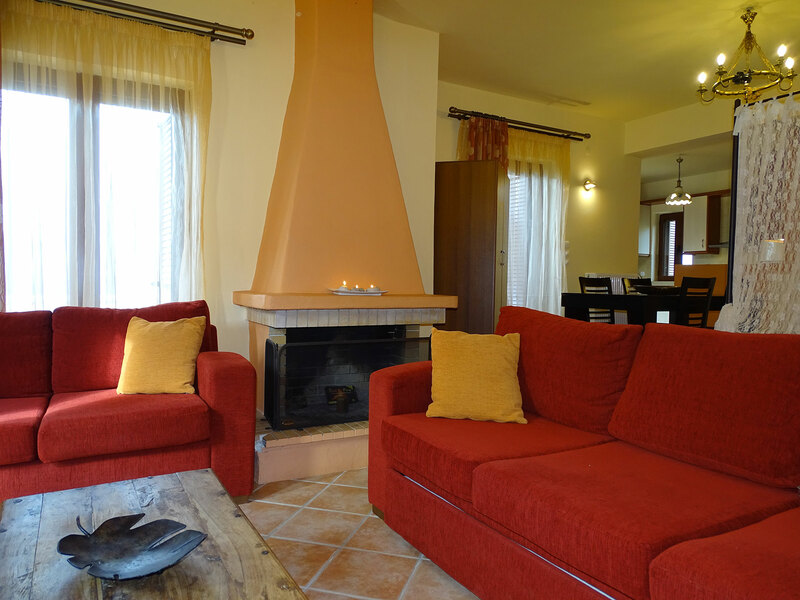 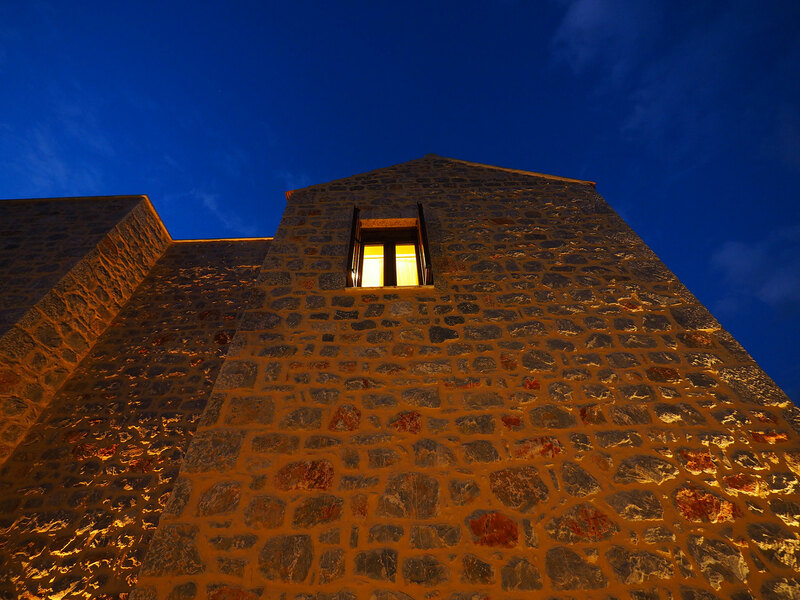 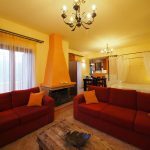 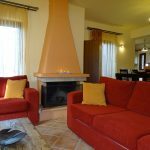 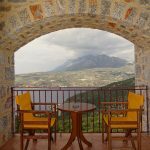 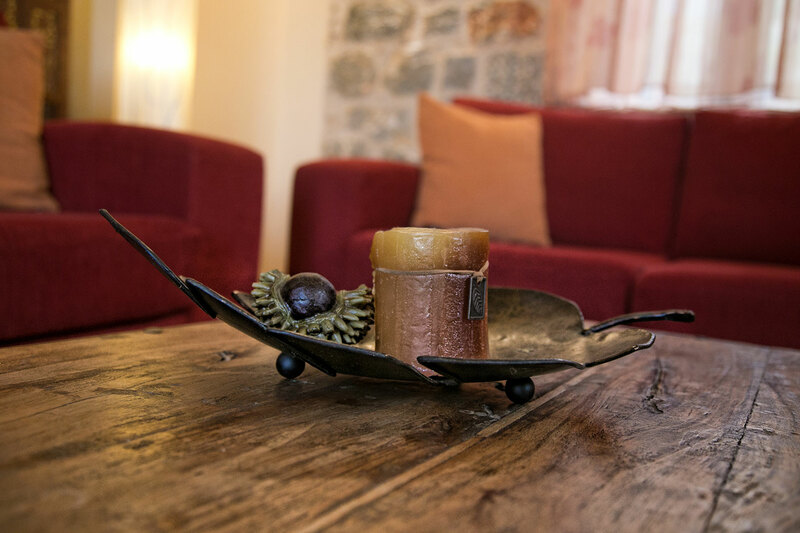 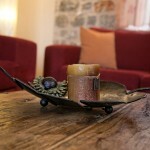 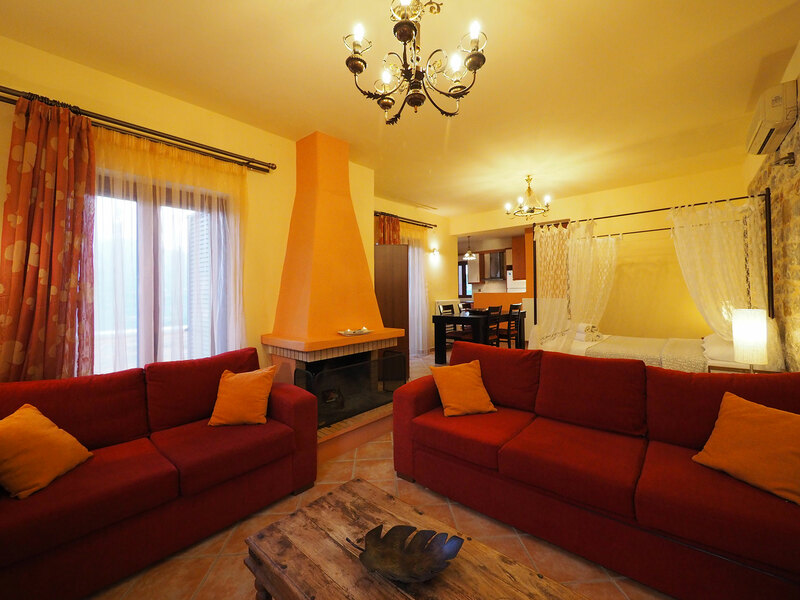 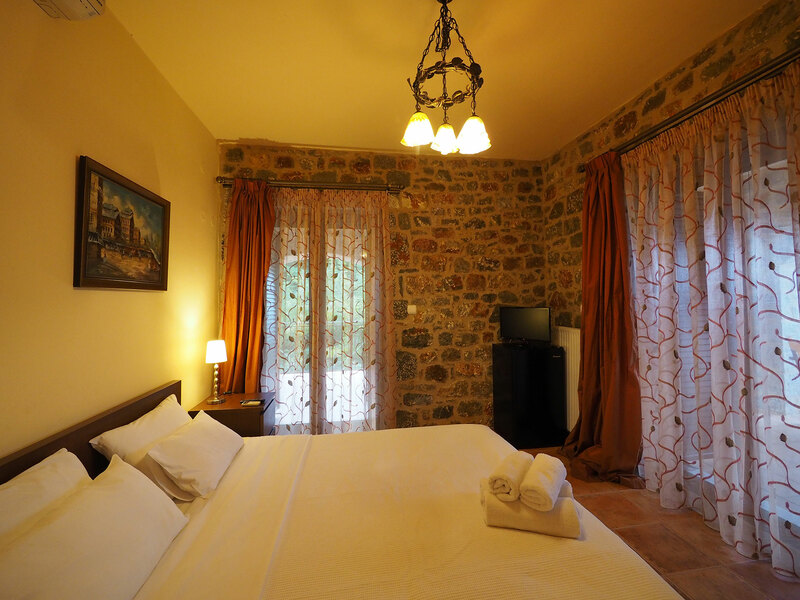 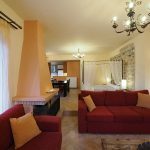 The fireplace, the warm colors, the romantic details and the soft lighting give Sofia Limeni View a relaxing atmosphere along with luxurious aesthetics… we invite you to experience living, like in a fairy tale, in your own tower with the backdrop of the blue sea and the historical settlements of Mani.